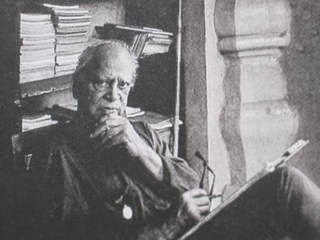 Mulk Raj Anand was an Indian writer, best known for his works like Untouchable, Coolie, Across the Black Waters, and A Pair of Mustachios and Other Stories. Here I have compiled down some of the best Mulk Raj Anand quotes for you, hope you will learn from them. Not a virgin or a rupee was safe in his realm. Our tragic age demands poetry of courage and not whimpers about the inevitable end of all maya. Please look out for the few thorns that might have got mixed up with the roses. The trouble with liberal democracy is that it takes a long time to mature. Why don’t you call, you swine, and announce your approach!